What do Jonah, Jesus, Job and Paul have in common? They all walked through storms. The disciples even followed Jesus into one. 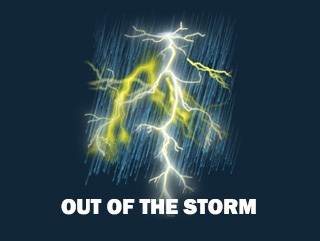 Out of The Storm examines some biblical storms, and is a helpful tool for every disciple who wants to grow through adversity, and learn to advance the Kingdom even during such times. If we are going to get storms, we may as well learn to walk through them – and to avoid the ones that are not inevitable.